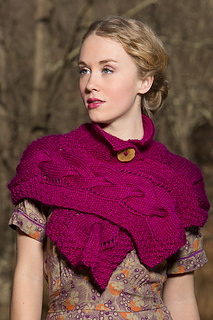 and knit and purl texture keep the knitting interesting while the short rows add shape to the shoulders. 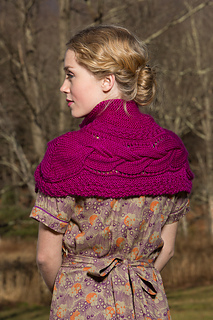 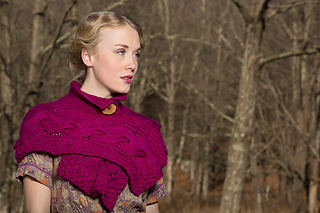 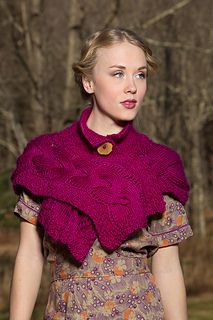 The Garter stitch collar adds contours to the neck and is finished with a large, wooden button. 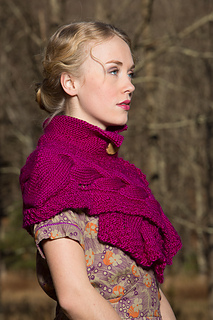 I knitted mine during the Frankenstorm of late October 2012, when we were without power and water for several days, its working title was, “Hurricape Sandy”.